Most people hang art too high. 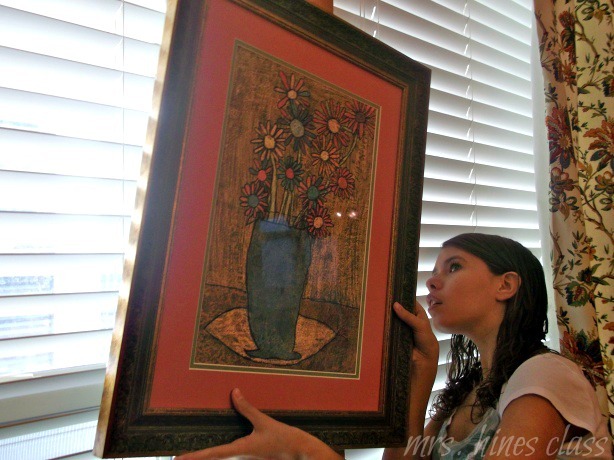 But, you can avoid this common mistake by following this simple formula on how to hang pictures at the correct height. 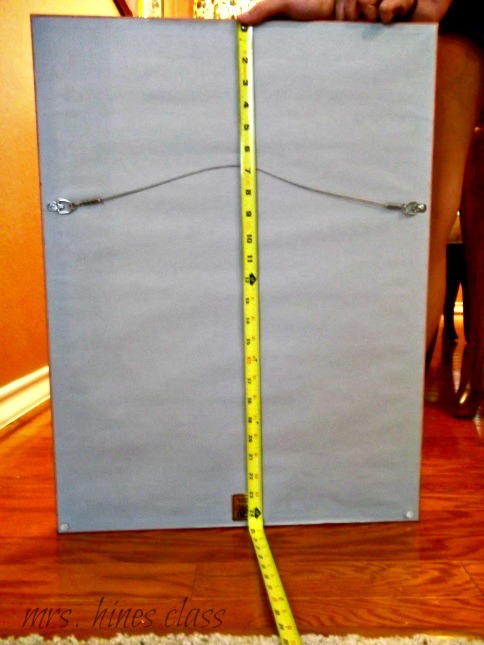 ~Turn your frame over and measure the height of the picture from the back. ~Divide this number by 2. ~Find the distance between the top of the picture and the picture hanging hardware. Take this measurement from the backside of the frame. Also, if you have a hanging wire, pull it taught. You want the measurement based on how the wire will be when it is hung on the wall. ~Subtract that number from the number you got when you divided the frame height by 2. In this example, the distance from the top of the frame to the hardware is 6.5 inches. 12″ – 6.5″ = 5.5″. ~Add 60 to the difference. 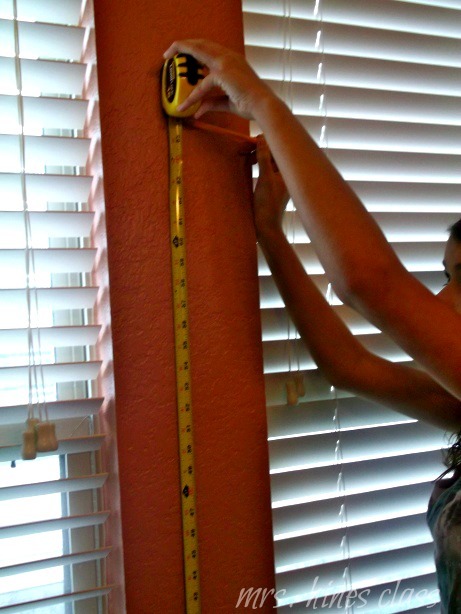 In my example, 60″ + 5.5″ = 65.5″ So, I will install the nail at 65.5″in this example. ~Measure and mark that spot on the wall. Making sure to start at the floor, we measured 65.5″ up the wall. Note that I placed the bottom of the hook (not the nail) on the pencil mark because that is where the wire will hang from. Now you’re ready to hang your picture! I found this formula online a few years ago (I don’t remember the source), and have had a lot of success with it. However, I don’t follow it when hanging something above a table or chair. In that case, leave no more than 12″ between the surface and the end of your frame. There’s nothing like having pictures on the walls to make a room feel complete. Does your space need to be decluttered and organized before you can even think about hanging pictures? You’re in luck! Good tip to know! Thanks for sharing. I have a great hint — have a housekeeper! I do not, but wish I did have one to do that vacuuming three times a week that I’m supposed to be doing! Okay, funny-stuff aside, I have to keep a schedule. For me, that means a hand-written schedule & list that I renew each week on Sunday night. Even though there are only 2 adults (& one cat) in our home now, I still need my schedule & list to maintain things around here. I HAVE to be flexible, because my hubby is retired now & his more spontaneous personality sometimes clashes with my more structured self…lol! I’d LOVE a housekeeper too! I am terrible at keeping a schedule. I like structure, but I’m such a free spirit. I have yet to find the balance. I wish I had one, too, Cas! As much as I love structure, I’m terrible at following schedules. 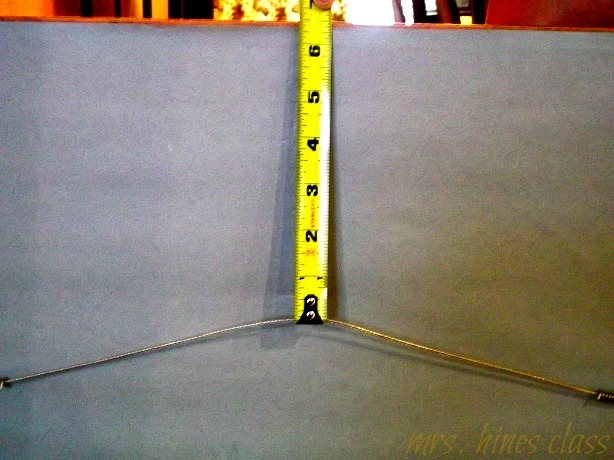 Great tip on hanging a picture … I never measure … just hang it, but I will do my math and try this next time. Audrey, I doubt you need to do the math. I just got so tired of moving pictures up down and around and decided to try something new. Thank you for this awesome idea! 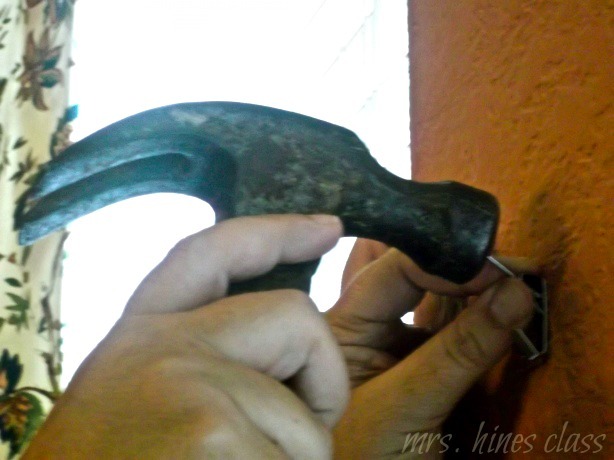 I absolutely LOVE this method for hanging pictures. My husband and I always disagree on how high to hang them (I’m short so I don’t want to crane my neck every time I want to look at a picture) and they always look either too high or to low on the walls. The Math wiz in him will love being able to use numbers to get the correct height and I’ll love not straining my neck to look at the artwork. I’m short, too, Teresa. So, I can relate to not wanting to crane your neck. I’m bad at Math. Lol, so tomorrow I’ll be headed to the store for butcher paper!! Or maybe the ugly wrapping paper stashed in the closet!! Thank you!!!! So it is 5 ft to the center of the picture?? Yes. Five feet from the floor. Well smack me silly this works BRILLIANTLY! I don’t usually comment on these things, but this really helped me out. I had a HUGE arched mirror (sort of a church window jobbie) and I wasn’t quite sure what to do with it. Que your page via pinterest… I accounted for the curve in the formula and I think the mirror looks stunning. Probably the best hung piece in the whole house (of course it’s in the guest bedroom lol). Thanks so much for sharing! Thank you for sharing that…I love success stories! And I’m so glad you are getting to enjoy the mirror. I’d love to see a picture. After doing my measurements. I had to stop and ask if this works for a home with high ceilings? Yes. The goal is for the center of the art to hang at eye level (sitting or standing depending on the room), so that it can be seen and enjoyed. So, I say go for it. 🙂 I’d love to see pictures once you hang your art. Is the 5′ initial height ideal for everyone? What about someone who is over 6′ tall? Wouldn’t they be looking down at the pictures. So, the question is this; is the 5′ initial height really based on the eye level of the individuals? The initial height is based on the height museums use which generally works for most people Another thing to take into consideration is you’re not always standing.